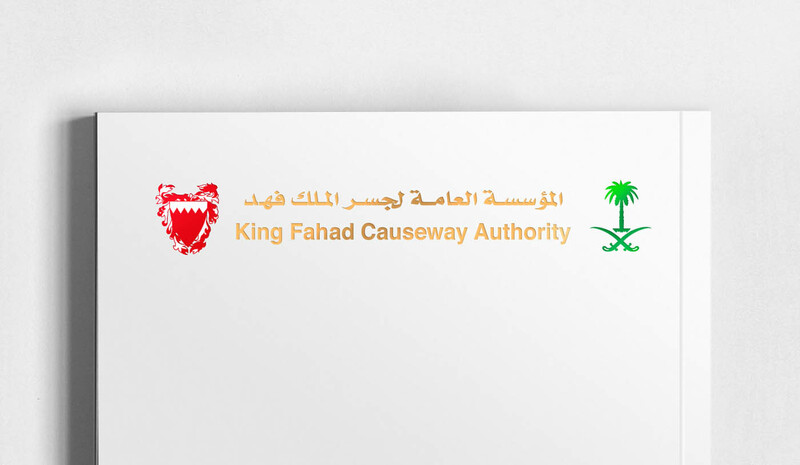 Creating and designing the Annual Financial Book Report for the King Fahad Causeway was a project that required much thinking outside of the box. 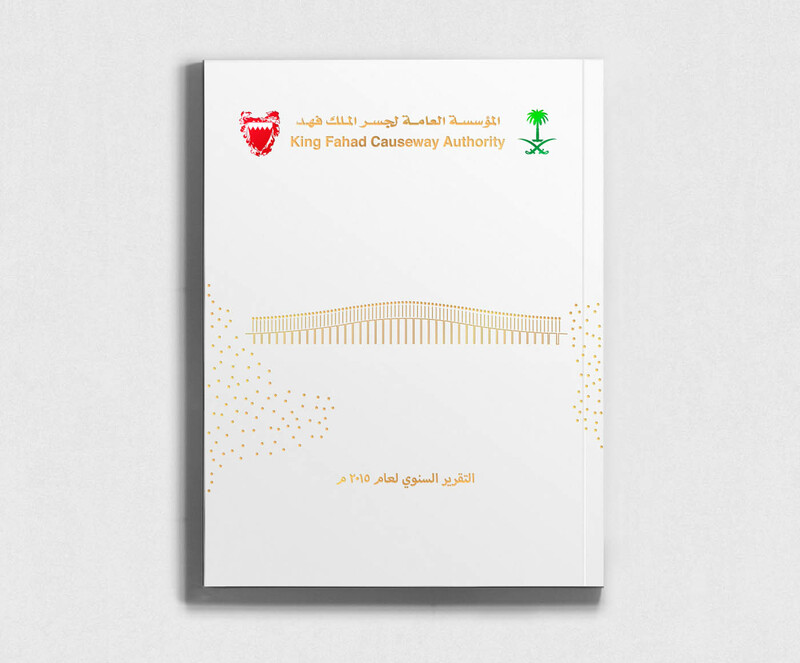 The report, which is delivered annually and typically involves similar photographs of the causeway, required an upgrade and new concept while remaining relevant. 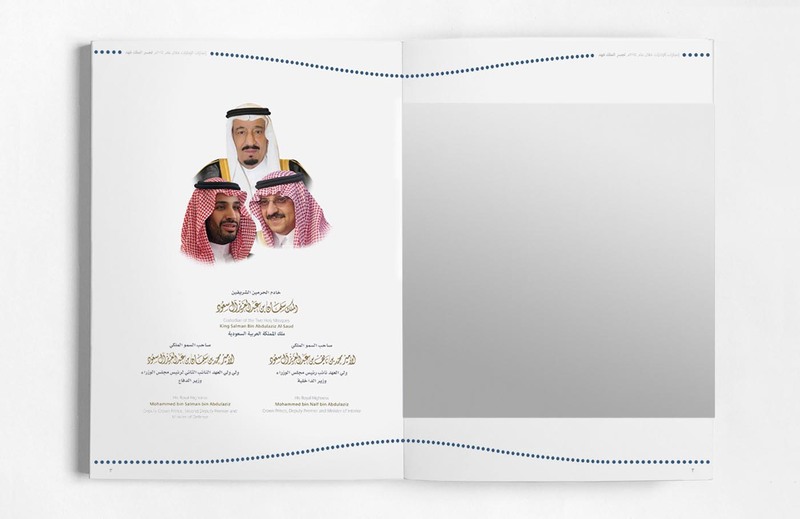 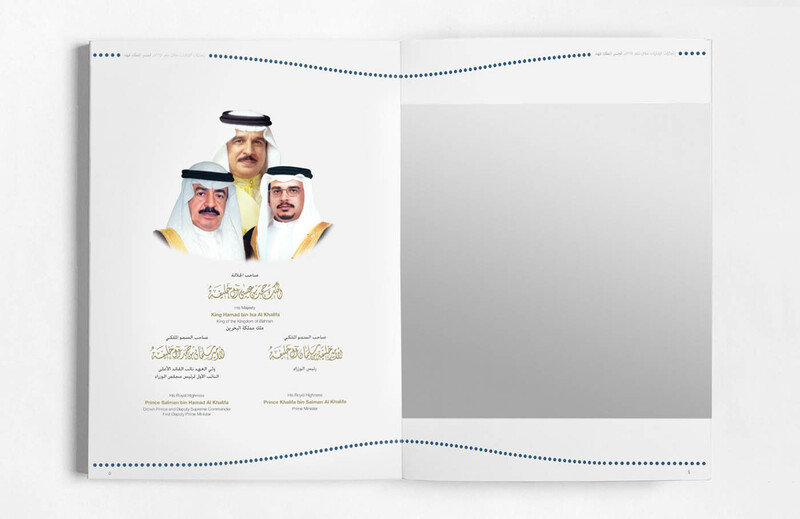 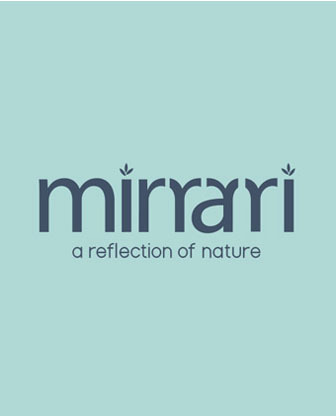 Since the report is shared with both ministries and government entities in Saudi Arabia and Bahrain, the high profile project required creativity and sophistication. 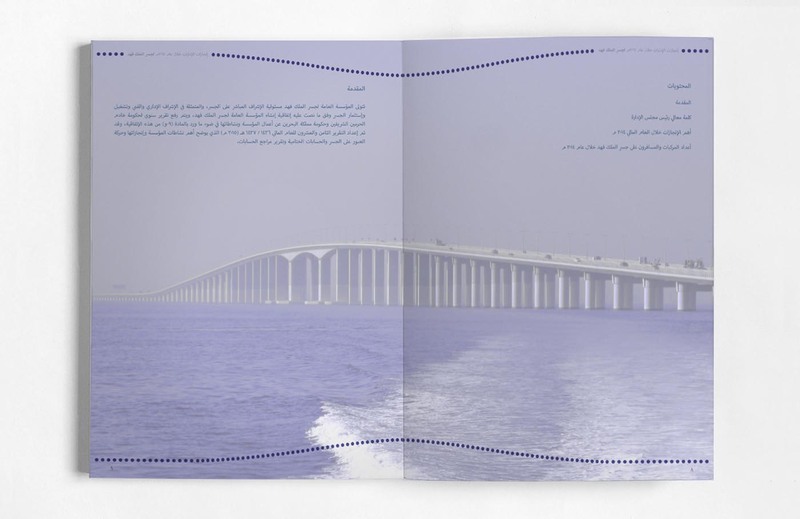 Aspects of foiling and embossing were used to further develop the concept without ever using a photo of the bridge. 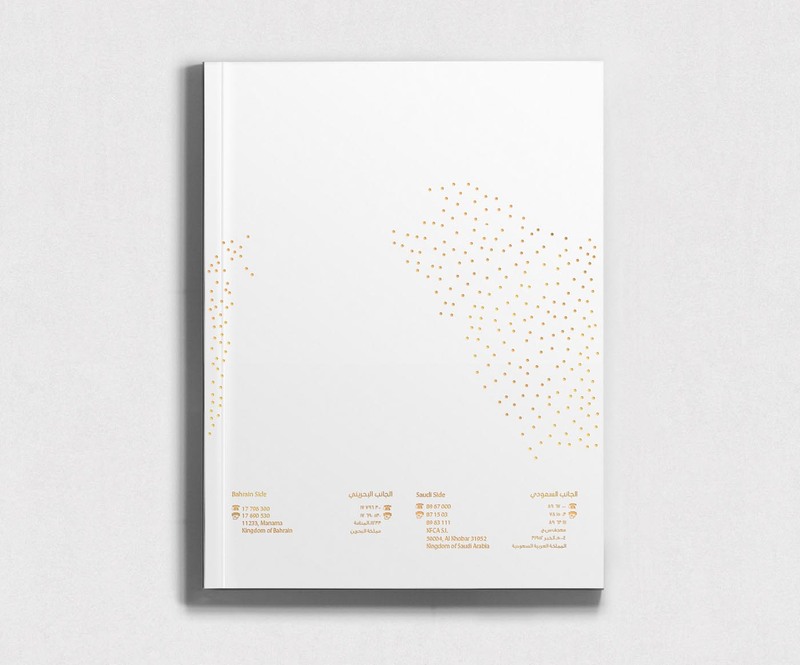 Gold foiling in the form of dots mapped out Bahrain and Saudi Arabia, linking the two Kingdoms togetheras a symbol of unity, while red and green foil was used for country specific colors. 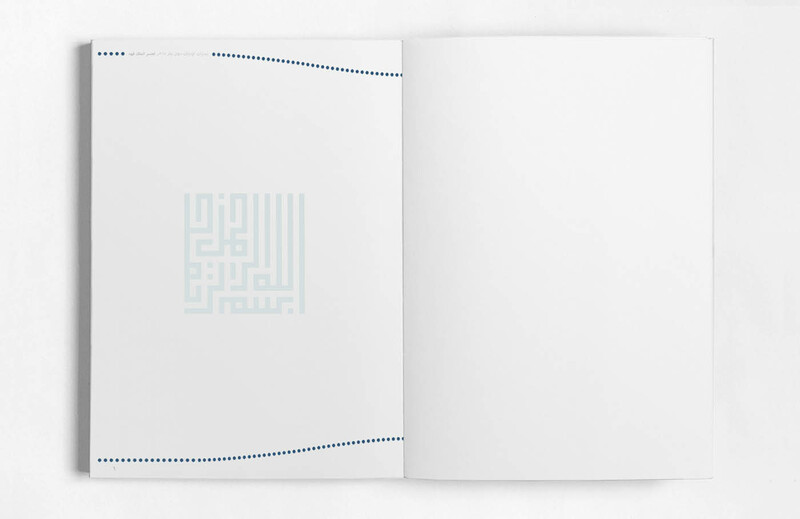 The overall white background of the book represented the strong and pure relationship of the two countries, united by more than just a bridge.